With the recent passing of "The Greatest" — Muhammad Ali — the sport of boxing has received special attention. The same can be said of boxing collectibles in our hobby. 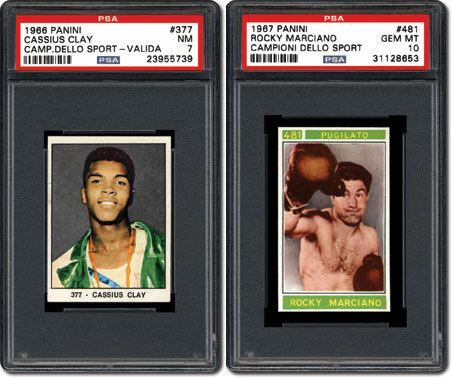 In the following piece, we take an in-depth look at the terrific Panini boxing card issues from the 1960s through the 1980s, from Ali to Mike Tyson. 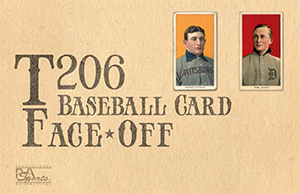 There are many eye-catching sports card sets that were produced during the 1950s. 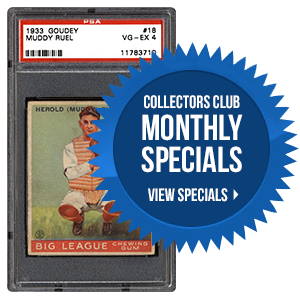 Some of the standouts are 1952 Bowman Large football, 1954 Topps hockey and 1955 Topps baseball. 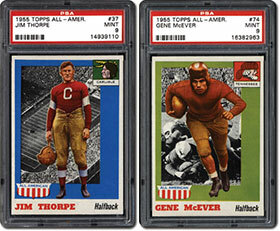 Another issue that rises to the top of the visual appeal list is the 1955 Topps All-American football set. In the next article, we break down this intriguing and beautiful release. Everyone loves a good monster. Well... maybe not everyone, but there is something about monsters that has captivated our imaginations for decades. 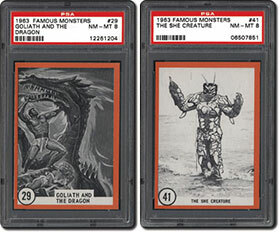 In 1963, Rosan produced their Famous Monsters set, a set that many collectors today consider a cult classic. With the help of some collectors, we take a closer look at this strange and entertaining issue. Which of the following boxing cards do you feel has the most potential? 2016 PSA Set Registry Award Winner Announced! Click here to view a list of winners and set descriptions. Click here to view the 2016 Hall of Fame inductees. For more information about the PSA Set Registry Awards and to view a list of award categories for 2017, please click here. The annual PSA Set Registry Luncheon will be held on Friday, August 5th in Atlantic City at the National. Email invitations were sent mid-June. Please be sure to RSVP to [email protected] no later than 7/22.